We offer premier and quality rappel training instruction. 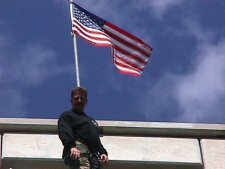 Our team is dedicated to the safety of our SWAT and tactical personnel while engaged in rappelling training and operations. We have experience training Law Enforcement SWAT teams, government agencies, military, security teams, and even private industrial organizations. 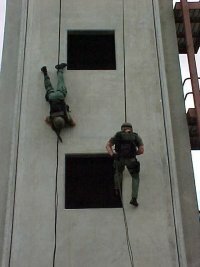 We have various courses from Basic-Intermediate, Tactical Operations, Container Climbing (TTP), Rappel Master, and Industrial rope courses. 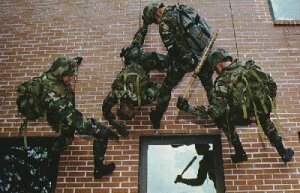 We can train and accommodate everything from your SWAT team to include your K9 teams. We have courses available throughout the year scheduled at venues across the United States. Plus we have the unique ability to provide custom training at your location while meeting the needs of your organization anywhere in the world.